First I’d like to start by wishing everyone a very Happy 2018. I have to be honest and admit that 2017 was a bit of a tough year for us, but I have high hopes for the year ahead. It is only day one and we already have many exciting things planned. Starting on Friday (eek) with a house move! The daily blogging here at Foodstuff Finds will continue though, as it always does, and we hope to pack the year full of tempting treats and interesting products for you to look out for and for us to taste test. First up then is this bag of Tomato Corn Rolls from Nature’s Store. They are also Gluten Free for those that needs snacks with that accreditation. We poured some out to share with lunch and have to admit there weren’t as many in the bag as we had hoped for, Spectre still got the largest portion, but he always does! The corn rolls have a sprinkle of seasoning and smelt pleasantly spiced. The flavour wasn’t a sweet tomato, it was a little bit tarter, but was lifted by nice seasoning that meant these are easy to munch on. 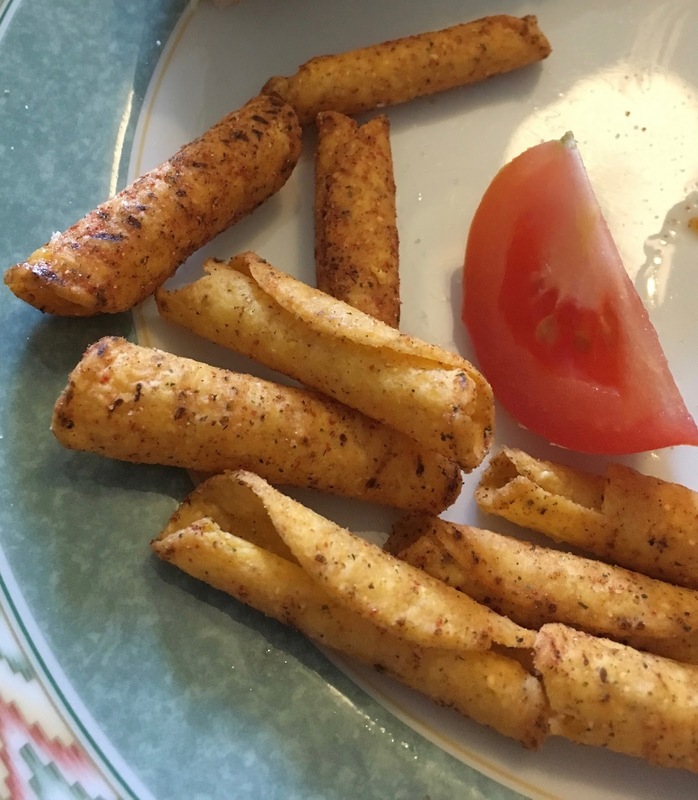 I particularly liked the corn roll element, this gave them a lovely crunchy texture, and a nice corn background flavour. 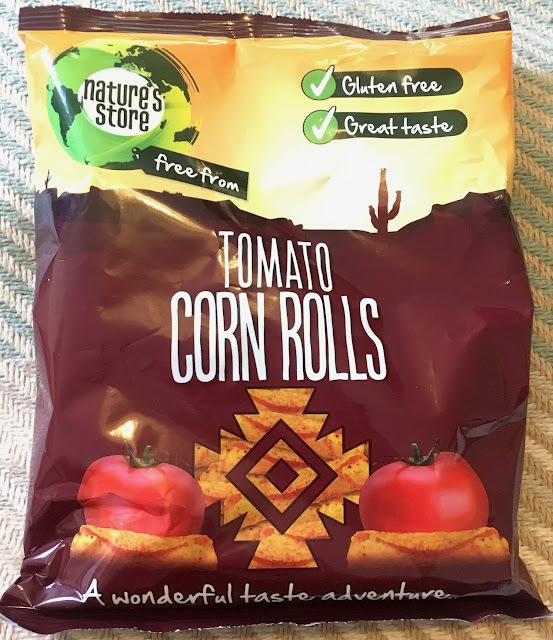 I’d buy these again, but if you are sharing in a group I’d suggest two bags. Happy New Year everyone - have a fabulous 2018!